They will take part in the first ever construction exhibition that opens today, May 8, 2018. The Cameroon Chamber of Commerce, Industries, Mines and Handicraft and the Tunisian Chamber of Commerce and Industries are organising an exposition that will bring some 400 companies from Africa and Europe to Yaounde. The exhibition christened AFRIBAT 2018 that will run from May 8 to 12 is organised for companies specialised in construction and related activities such as production and sale of cement, infrastructure, electrification cables, wood, tiles, water pipes, architecture, and glass work, among others. Tunisian Ambassador to Cameroon, Jalel Snoussi, in a news conference in Yaounde on May 3, told reporters that Cameroon was chosen to host the first edition of AFRIBAT 2018 because of its strategic location in the Central African Sub-region and also because of the many ongoing infrastructural development projects in the country. He said significant construction projects are underway in many other African countries which he believes will participate in the fair. The exposition is an opportunity for companies to demonstrate their knowhow, share experiences, create new partnerships and possibly seal deals. It will be animated by round table discussions and presentation of latest technological advancements in the construction and building material sector. An estimated 1,000 professionals in the sector are expected to attend the show while the organisers forecast 10,000 ordinary visitors from all walks of life to witness the fair. 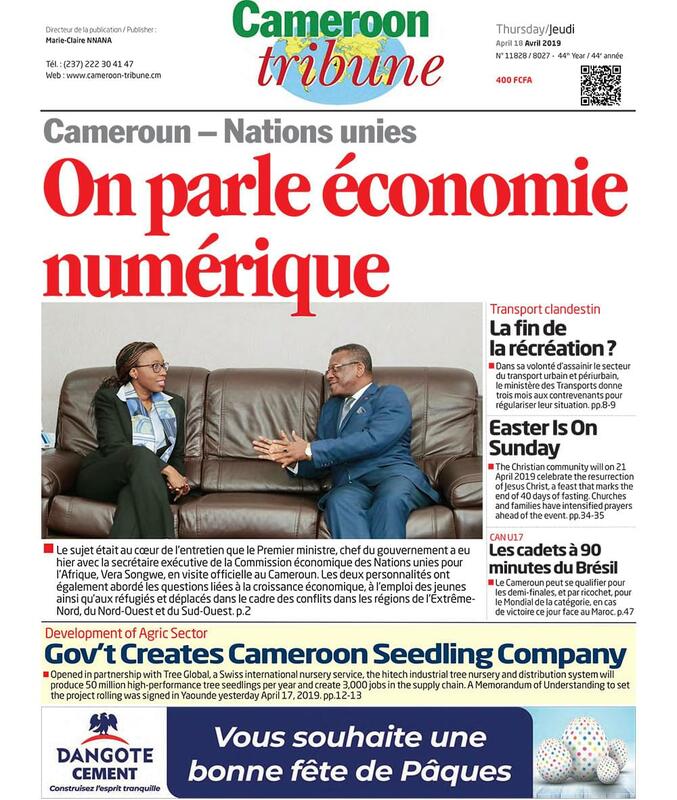 Meanwhile, Cameroon Tribune visited the exhibition ground at the weekend and discovered exhibitors at the Tsinga Fair Centre near the Yaounde Conference Centre putting finishing touches to their stands provided by the organisers. The event promises to be ahit.